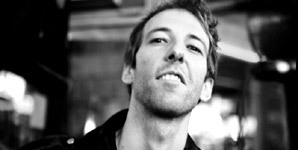 Olaf Hund's new single, 'Rock 'n' Beat', is taken from his upcoming EP, released October 3rd 2011. Called 'Music Is Dead', it is the first EP of a planned series entitled 'Music Is Dead', which will be half-album-EPs and videos that will be released periodically throughout 2011 and 2012. The highly anticipated EP will also include Olaf's debut single, 'I Wanna Be Your Ice-Cream'. The video, directed by Fabien Oliva, sees Olaf Hund as a zombie being chased through town by a pretty blonde holding a syringe and a man in charge of a local polling station. The silly storyline and the dizzying camera angles fit perfectly with the electronic song.